Thames Baths has known Theo Thomas for a number of years and so we thought it was about time he contributed to the blog. Theo is The London Waterkeeper. London Waterkeeper is a member of Waterkeeper Alliance, a global federation fighting for fishable, drinkable and swimmable water. London Waterkeeper is the capital’s only truly independent voice for rivers. Theo worked at Thames21 for 12 years. During this time he set up the ‘Love the Lea’ campaign to make members of the public aware of the problems facing London’s second river. He established its water quality testing laboratory. He was and is a big champion of green infrastructure to reduce the amount of pollution that reaches our rivers. We asked Theo to tell us about his plans for making the Thames swimmable above Putney. 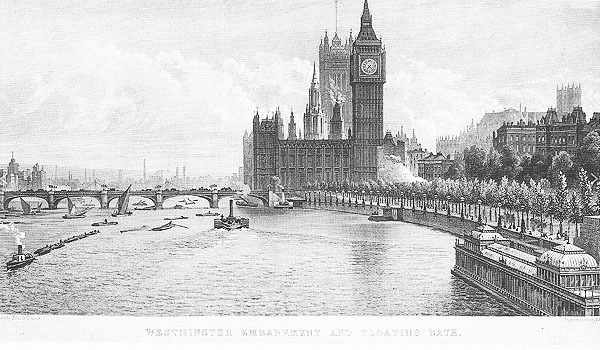 Thames Baths would bring swimming to the heart of London. 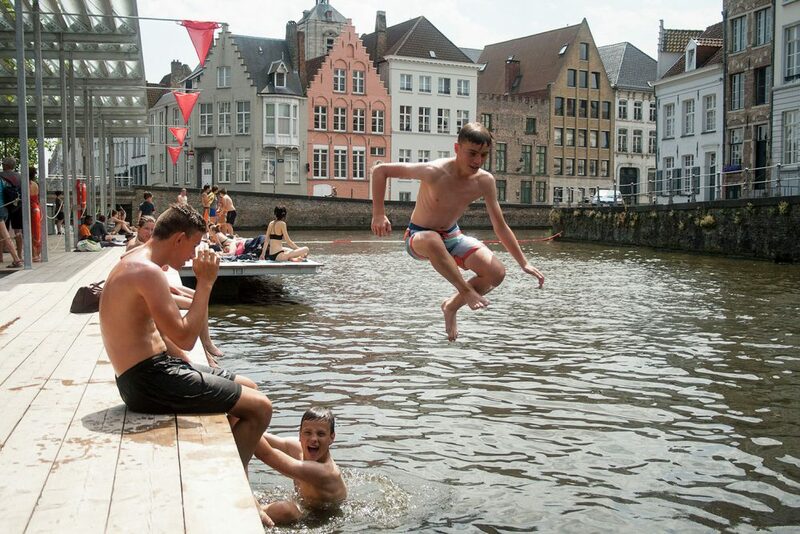 Dedicated pools in one of the World’s iconic rivers, in front of its most famous landmarks. Swimming in the Thames in this central section is prohibited so a series of pools is the best option. 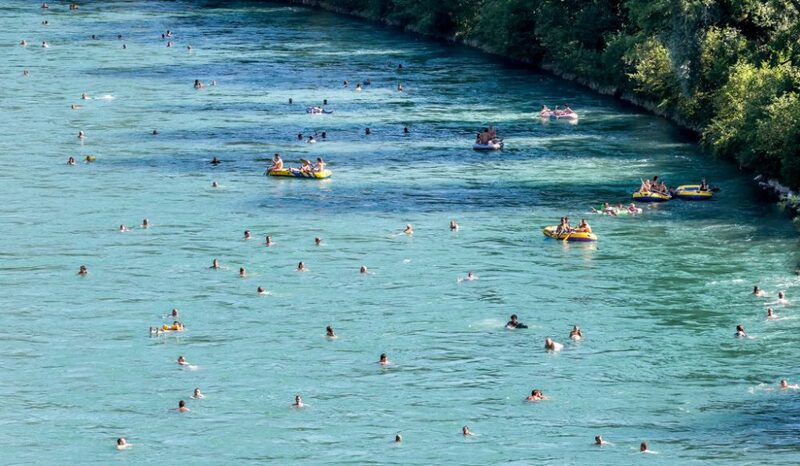 It would be dangerous to swim in such a busy stretch of the river where tides and currents are strong. Upstream of Putney Bridge swimming is allowed but of course when and where is fundamental to safety. Upstream of Richmond Lock the Thames is semi-tidal, and beyond Teddington Lock non-tidal. Depending where you are the nature of the river is very different. People do swim in the Thames upstream of Putney, but it is a fraction of the potential numbers. I’ve swum at Twickenham shortly before high tide and it was an incredible experience. Access to the river in places like this, in London, and further out west is pretty good. 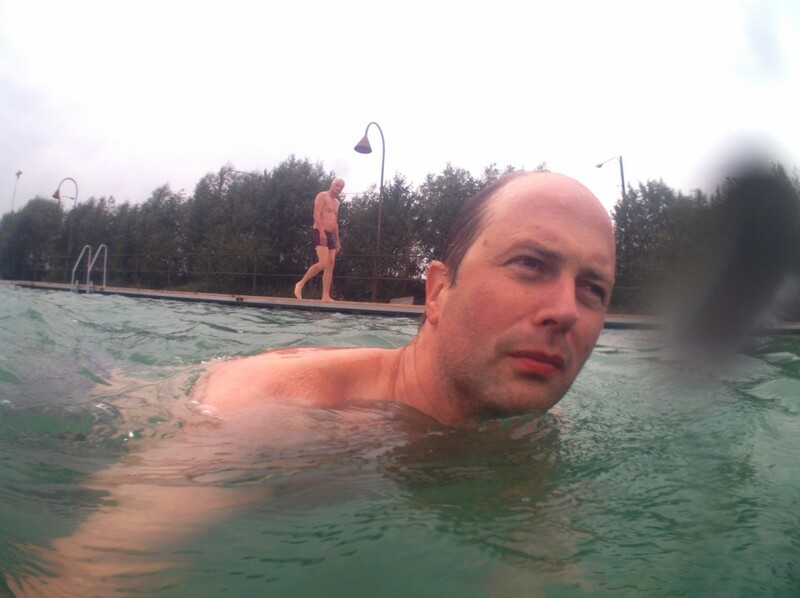 In some locations swimming is a regular occurrence, in others the heyday is long past. Clearly to make parts of the Thames swimmable for many more people will be a challenge. 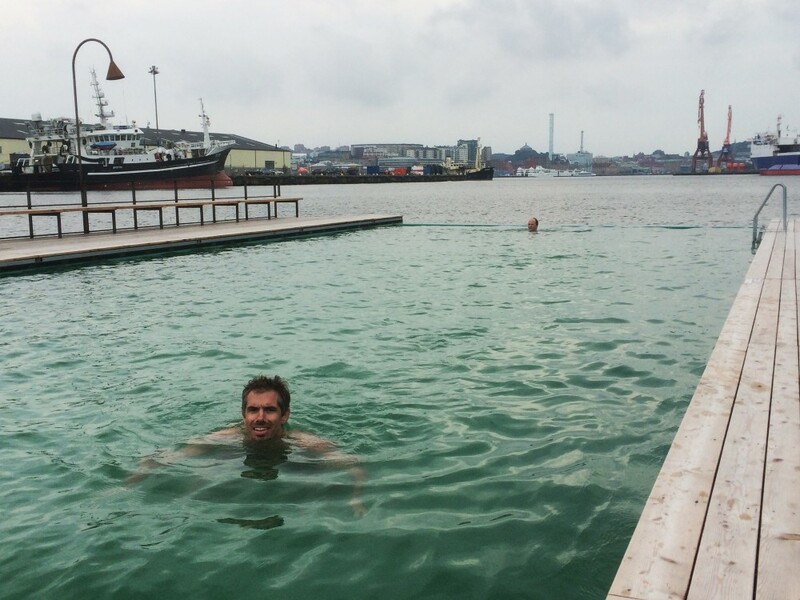 It took Copenhagen ten years before you could swim in its harbours with confidence. But the rewards are immense. The mental and physical health of thousands of people would be boosted. The biggest barrier is water quality. Sometimes the Thames meets bathing standards. At other times it fails them, but we don’t know when. We need to know when sewers overflow reducing water quality. 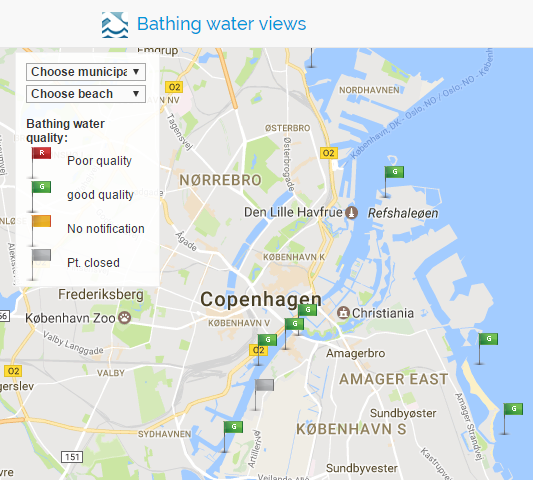 Copenhagen has a real-time bathing water monitoring system. Seattle notifies the public when sewers spill, again in real-time. Other cities issue warnings when their sewage systems can’t cope. We’re some way behind that in the UK. Public access to environmental information is crucial for a healthy democracy and sustained improvement of the environment. Currently too little is available and so it is hard to determine the real situation; whether standards are improving, about the same or worsening. In terms of going for a swim, kayak or paddleboard, river users are denied crucial information. The Environmental Information Regulations 2004 say we should be told when sewers overflow and London Waterkeeper wants to see water companies meet their legal duties. If this data is combined with information technology we can have a powerful system that empowers river users (existing and potential). It will be a transformational change that deepens our connection with the Thames. During the UK’s recent heatwave, the Thames has looked increasingly irresistible. One blazing afternoon at Thames Baths HQ we stumbled upon a film about river swimming in Bern and posted it on our Facebook page. Swiss-Canadian swimmer Mel Schori, then got in touch and offered to share his adventures in Bern with us. Mel grew up in Nova Scotia, Canada but has spent the last 12 years living in and exploring Switzerland so who better to talk us through it! Switzerland is one of the most beautiful countries in the world, with countless amazing spots to relax during a visit. But when the temperature climbs to the high twenties and low thirties during the summer months, you’ll need a place to cool down. 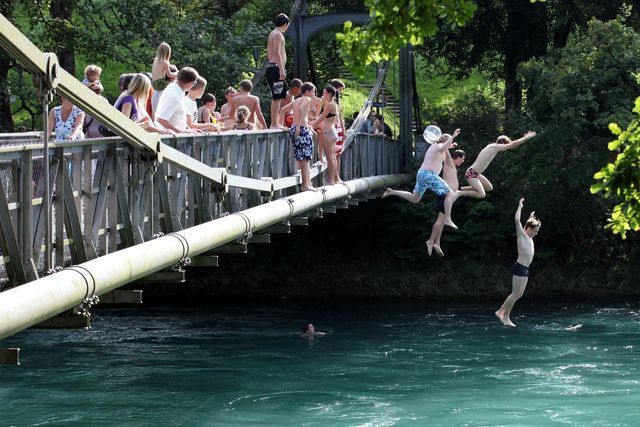 Luckily, the capital city of Bern offers one of the “coolest” summer experiences around, and one of the best ways to beat the heat on a hot day. The Marzilibad, a public swimming area just behind the Swiss houses of parliament in the center of Bern, is the place to be. 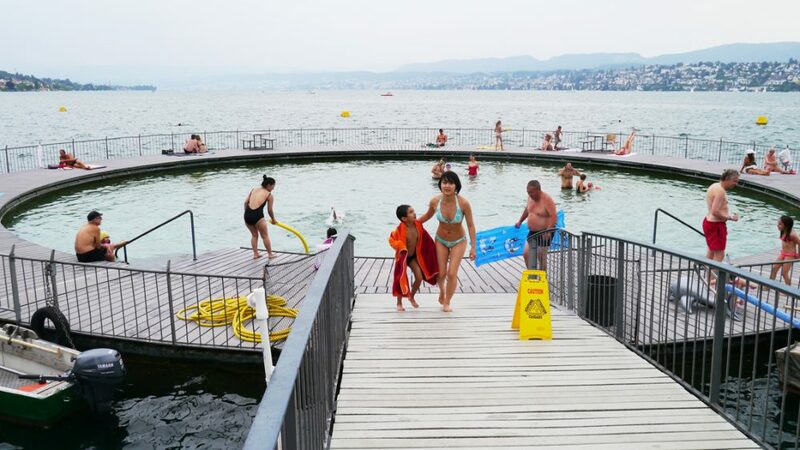 Just a few Swiss Francs will get you entry to this swimming area (which also includes lush lawns and beach volleyball) as well as a locker to leave your things. If you’ve ever been to Switzerland before, you’ll know that almost nothing is cheap, so the cost factor is an even bigger bonus. Once your things are locked away, you are ready to go! You’ll walk towards the water and follow the flow of people walking up river, along a paved path. The excitement builds at this stage. You just can’t wait to jump in the water as you see hundreds of people, young and old, floating by, all looking like they wouldn’t trade this for the world. Some are swimming with the flow of the river to race back towards Marzilibad, maybe trying to catch up with a friend. Some lay on their backs and carelessly float along, while others enjoy “river props”, like inflatable unicorns, swans and giant slices of pizza. After walking for a little while (it takes about 15-20 minutes), you’ll come to an opening where most people decide to enter the river. You’re so warm you just can’t wait to cool down, but keep in mind, Swiss lakes and rivers are filled with water which flows down from the mountains, so be prepared to get really cool, really quickly! The river temperature is usually around 20 degrees Celsius during the summer. Once you’re in, just enjoy it, you’ll adapt to the temperature within about 30 seconds. Swim, splash, float, joke, smile and laugh. It’s an absolutely fantastic time. The river flow is pretty strong though, so be careful if you aren’t the best swimmer. After what seems like 10 minutes of so, you’ll reach the Marzilibad again. It’s well set up with lots of bars to grab when exiting the water. There are also multiple places to get out, so that shouldn’t be an issue. Just keep your eye on other swimmers so you don’t float too far. 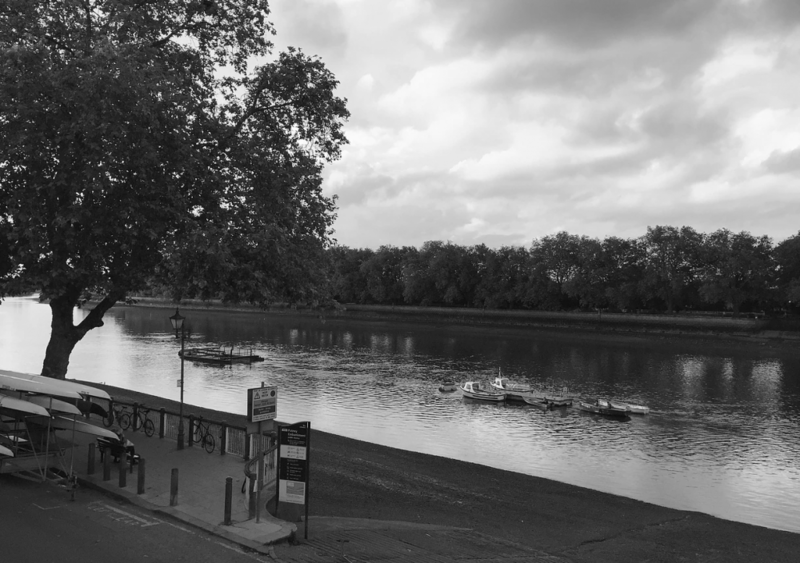 Permits, Licences, Assessments…Understanding the complexities of building on the River Thames. Tim Beckett of marine engineers Beckett Rankine talks us through working on Thames infrastructure projects. Beckett Rankine are the marine consultants advising Thames Baths. Based in Westminster the firm works worldwide and has been responsible for the design of some of the world’s largest ports, such as Ras Laffan in Qatar. Closer to home Beckett Rankine has designed and helped gain consents for more than 200 projects on the tidal Thames over the last 20 years. The Thames through central London is experiencing a level of construction activity unprecedented in living memory. 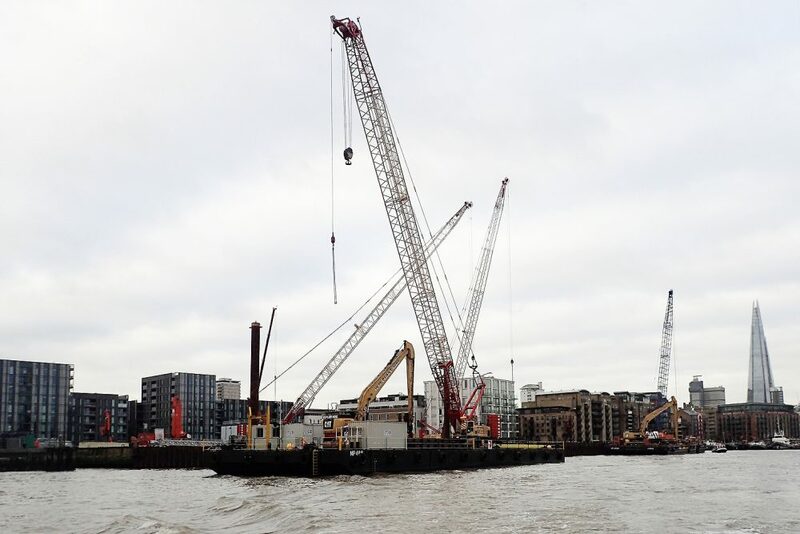 Leading these projects is the Thames Tideway Tunnel (TTT) where construction of the first temporary wharf facility has recently started on site at Chambers Wharf. 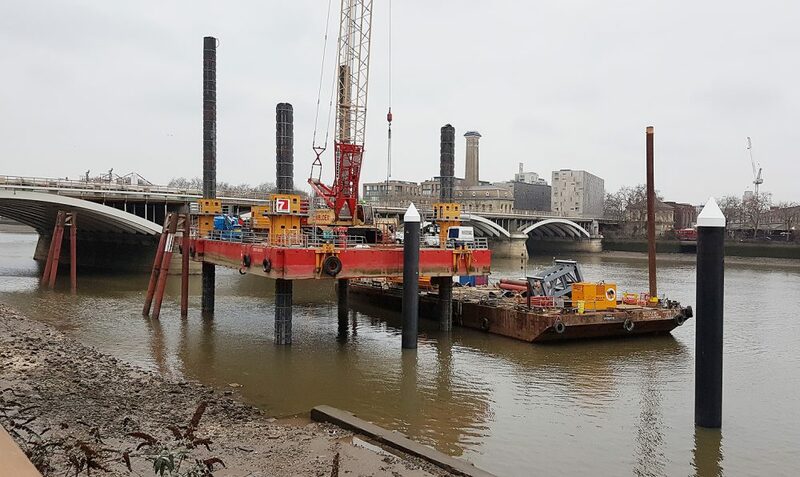 A similar cofferdam structure on the foreshore is due to commence shortly at King Edward Memorial Park with a new slipway for Shadwell Basin Activity Centre also being constructed. Other TTT sites due to commence construction in 2017 are at Blackfriars, Victoria Embankment, Kirtling Street, Albert Embankment, Chelsea Embankment, Cremorne Wharf, Putney and Hurlingham Wharf. 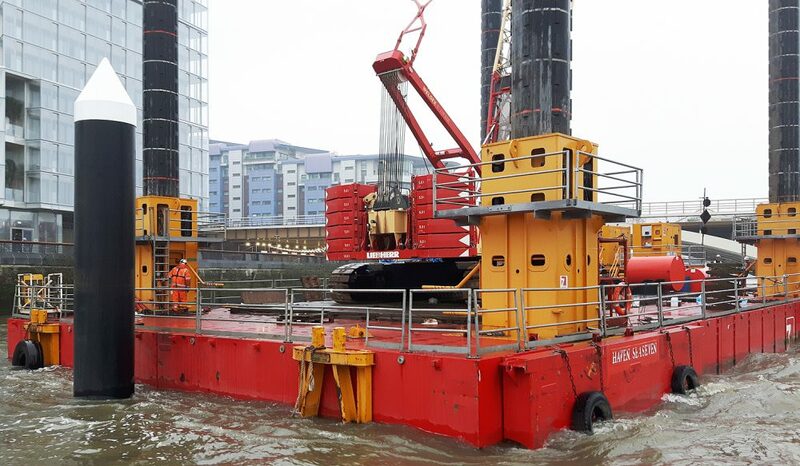 Advance enabling works for the TTT project include the recently completed replacement of Blackfriars Pier and the moving of PS Tattershall Castle. A sad departure from the river has been the HMS President which has been moved to Chatham Docks to make way for the TTT works at Blackfriars. We hope she will be returning to a new berth in the Upper Pool but that is by no means certain as it is dependent upon fundraising. Non TTT projects for 2017 include a new passenger pier at Battersea Power Station which has just started on site. Planning permission has been granted for the Diamond Jubilee footbridge at Imperial Wharf while there are a number of other new or replacement piers in the pipeline; both Canary Wharf East and Royal Wharf piers should be delivered this year. Beckett Rankine have been assisting many of these projects both with the engineering designs and also in obtaining the statutory consents. Obtaining consents for works within the river are much more time consuming than for land based developments. Planning permission from the local planning authority is required for any development but once planning is achieved, onshore development may not need any other consent other than complying with the Building Regulations. If the project is in the Thames then in addition to planning consent the project will also require a River Works Licence from the Port of London Authority, a Land Drainage Consent from the Environment Agency and a Marine Licence from the Marine Management Organisation. These marine consents require a number of supporting studies such as a hydrodynamic assessment, ecological study, archaeological assessment and a navigational risk assessment. The navigational assessment can be particularly challenging as the Thames is a busy tidal river; areas where there is deep enough water for vessels to navigate at all states of the tide tend to be heavily trafficked. 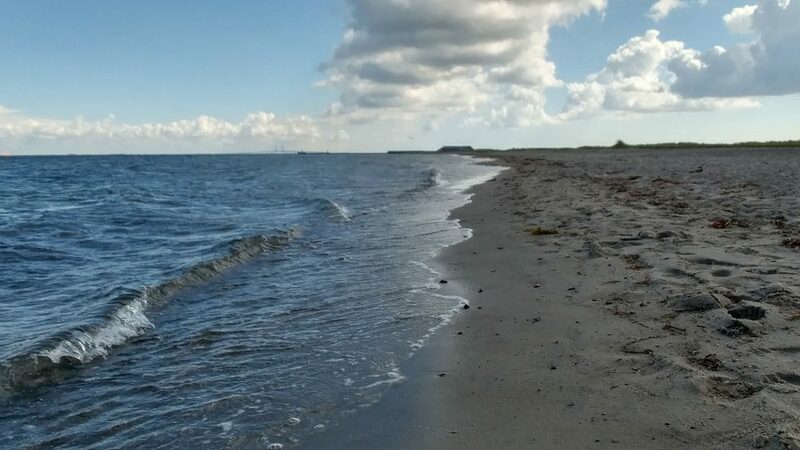 While the river may look little used to a casual observer this is because the majority of the heavy freight movements take place an hour or two either side of high tide. Furthermore some of those movements, such as the tugs towing the waste barges, are difficult to manoeuvre and therefore need a generous clearance around them. Once the TTT starts excavation work in 2018 and the spoil is removed by river there will be a dramatic increase in freight movements for the navigational risk assessments to consider. Despite these constraints the PLA’s new vision document, proposes to encourage increases in use of the river for freight, passenger vessels and sport and recreation. To deliver these intensified activities in central London without compromising safety will require an increasing degree of inventiveness. How does Thames Baths keep Londoners healthy? Chris Romer-Lee, co-Founder and CEO of Thames Baths C.I.C. explains why Thames Baths is so important to London and Londoners. The River Thames is not generally regarded as the healthiest of places. As a child living in Putney, I used to love spending time by the river with my sister, examining the flotsam and jetsam along the foreshore. However my parents were adamant that foraging for treasure along the river edge was dirty and dangerous. We were constantly being warned against touching anything, with the threat that we would end up having our stomachs pumped if we weren’t careful. So like many Londoners, I grew up fascinated by, but wary of, the River Thames. 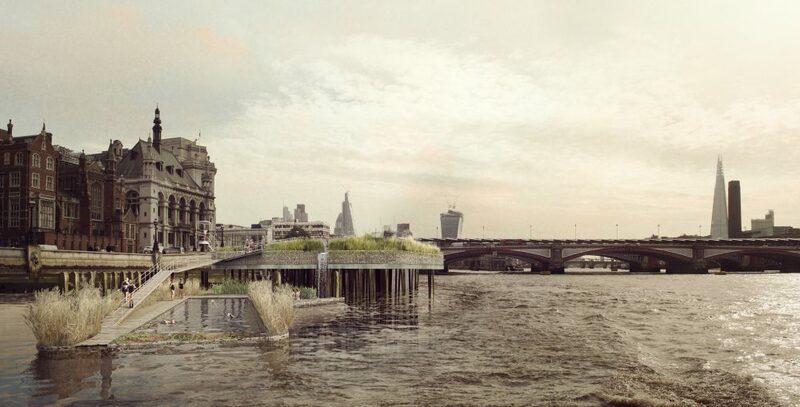 A 2013 Open Call by the Royal Academy of Arts and The Architecture Foundation asking for ideas addressing the future of the Thames reignited my interest in the river. I had just come back from a trip to Zurich, where my family and I had enjoyed swimming in the city’s lakes. That glorious experience of urban swimming underscored the disconnect between Londoners and the mighty river flowing through the city. So the idea of the Thames Baths was born. We submitted a proposal for re-introducing swimming in the river once the Thames Tideway Tunnel (the so-called ‘Super Sewer’) was complete and water quality improved. I say re-introduced, because swimming has historically been an important feature of Londoners’ relationship with the Thames. (I’d thoroughly recommend Caitlin Davies’ excellent Downstream: A History and Celebration of Swimming the River Thames if you’re interested in finding out more about this). Our plans really caught people’s imaginations, much to our surprise initially. But thinking about it, I can see why the idea has such appeal. 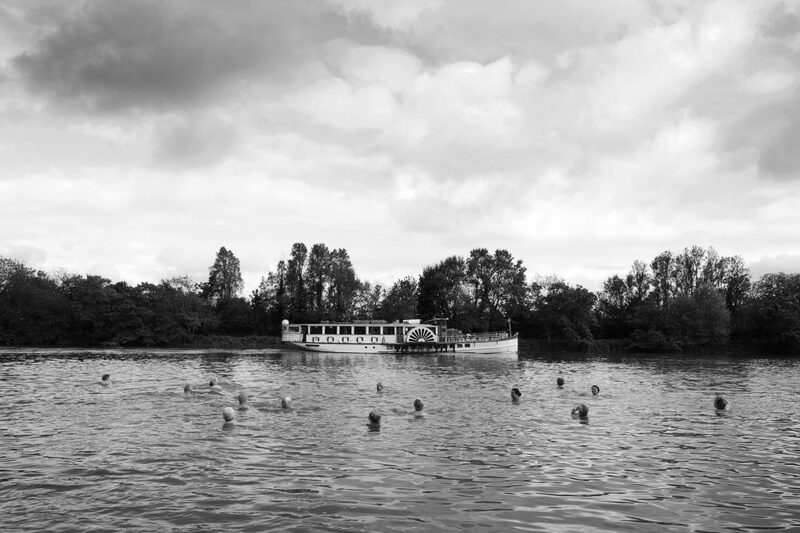 The Thames is an iconic aspect of London, while swimming is one of life’s simple pleasures. All you need is some water; it’s accessible for anyone, whatever your levels of fitness or mobility. There is something magical about the two things being combined. We’ve had a lot of enthusiastic and expert input and our plans have evolved. In our current proposals, the Baths consist of a six-lane 25m pool, a training pool, a retail kiosk, a café, changing rooms, as well as ample open decking to enjoy the views. We have figured out the technology to naturally filter the river water to create bathing water that meets the highest possible bathing standards (FLL Standards). So there’s no need to wait for the ‘Super Sewer’, the Thames Baths can be built now. The water for the pools will be taken from the Thames passed through the perimeter planting and a below deck filter system. 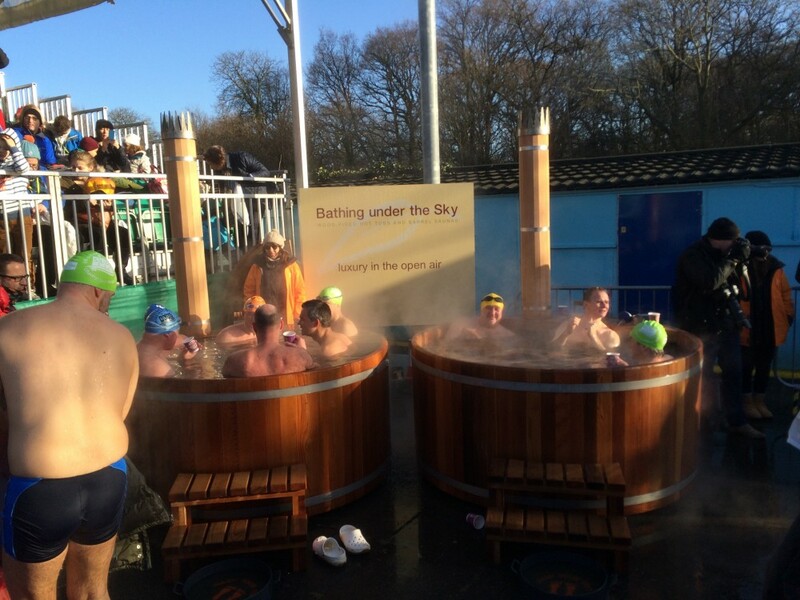 With the impurities removed and free of chemicals the water can be heated to 24 degrees for year round swimming. The pool’s filter system can cope with 600 swimmers a day, whilst there is room on the open deck public spaces for considerably more. Currently we have identified potential sites within central London. We’re now completed a Pre-Planning Report, started consulting with stakeholders and anticipate submitting a planning application for the most suitable site in 2017. We are receiving support but are looking for any interested companies or individuals to make contact if they want to be part of this project. Keeping Londoners healthy is a key reason for making Thames Baths happen as soon as we can. 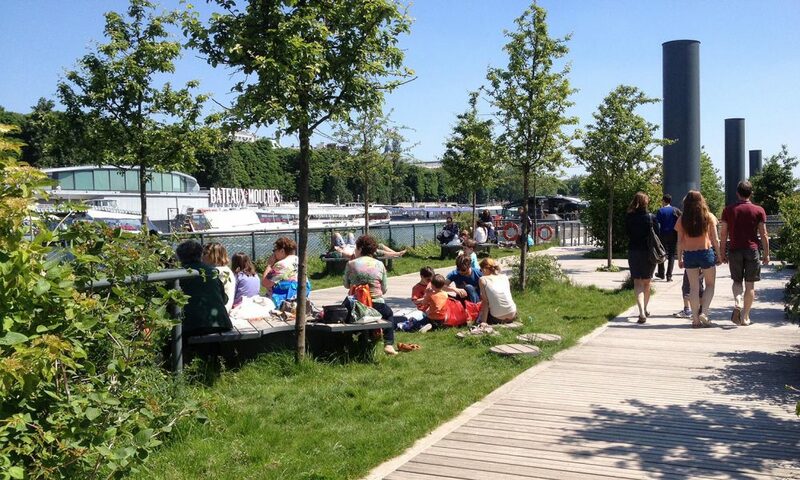 There is strong evidence of the benefits of good quality outdoor spaces to public health. The Marmot Review into health inequalities concluded that well-designed and maintained green spaces can encourage social interaction, exercise, play, and contact with nature. Studies have shown that exercising outside can have more positive mental health benefits than other types of exercise and that the psychological benefits of jogging in an urban park are greater than street jogging. Swimming at Thames Baths will similarly enhance Londoners’ physical and emotional wellbeing. The Marmot Review argued that it is not enough to simply provide more outdoor spaces, attention also needs to be paid to their design and quality. London’s largest public space deserves nothing less than outstanding design, and this is what we are trying to achieve with Thames Baths. For instance our designs incorporate aquatic planting, intimate seating areas closer to the water, as well as higher look-outs and vantage points. Our aim is for the Baths to remain open all year round (through gentle warming via a heat exchanger), providing a refuge for wildlife as well as a public space for Londoners to enjoy the river from. As the Marmot Review recognised, public spaces also have social benefits (which link into greater emotional wellbeing) by bringing people together. Thames Baths is driven by the belief that it is every Londoner’s right to have access to the River Thames. Thames Baths has been set up as a social enterprise (we are a Community Interest Company). Our intention is that it will cost the same to swim in the lido as the nearest community pool. We want access to the decked areas to remain free at all times, providing an extension to the public space along the river. The Marmot Review noted that children and older people in particular often feel excluded from public spaces. We are particularly keen to ensure that both groups use the Baths, and are proposing free swimming for under 6s and over 60s, as well as link-ups with inner city schools. Globally, urban waterways are having a renaissance. Copenhagen led the way following a successful clean-up of Copenhagen Harbour in 2002 when the first harbour bath was completed. Now it’s the turn of Londoners’ to reap the health – and many other – benefits of a pool (or pools) in the Thames. In the meantime, I’d thoroughly recommend a brisk walk or leisurely amble along the river’s foreshores to appreciate one of London’s greatest assets. 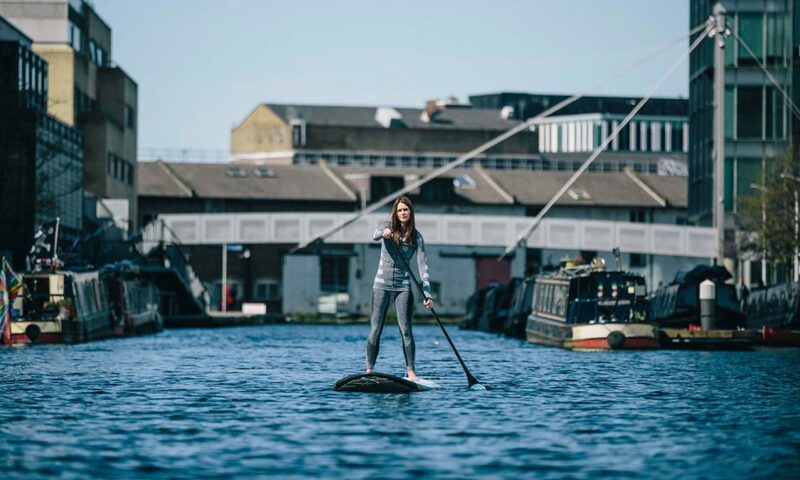 Lizzie has probably paddle boarded further than most people, but it’s her passion for clean waterways that really caught our eye. I’m an adventurer and environmentalist, and I take on challenges with the aim of raising awareness of environmental issues to help accelerate social change. 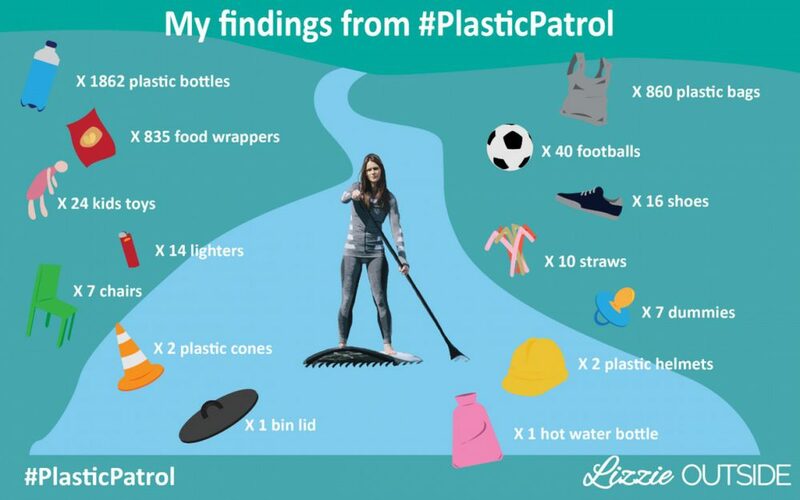 Earlier this year I did my #PlasticPatrol challenge. 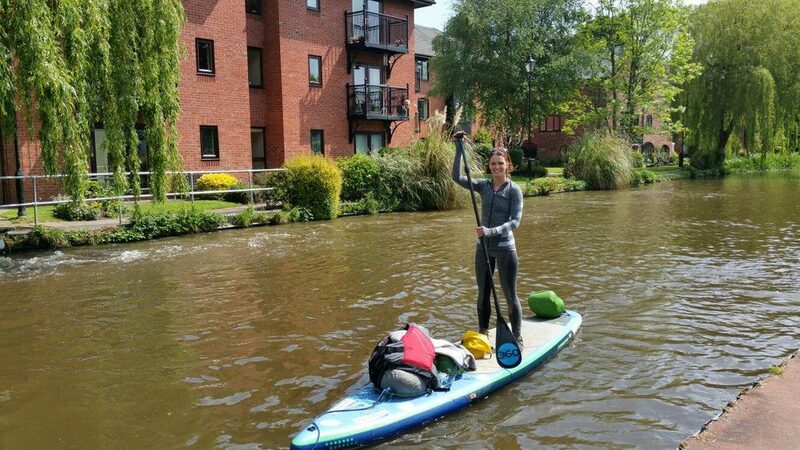 This involved paddle boarding the length of England – 400 miles of inland waterways – to plot, map and scale every piece of plastic I encountered along my route. 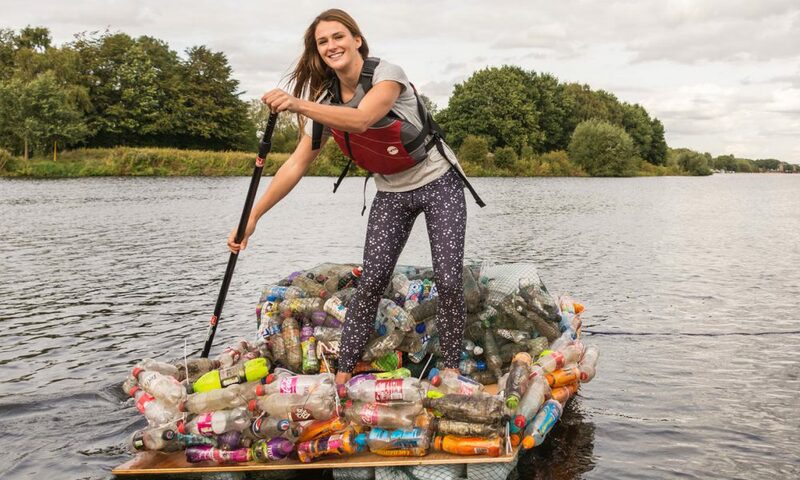 As 80% of marine litter comes from inland sources – canals and rivers being a big contributor – I wanted to highlight the problem of plastic pollution at a very local level. If we can address the issue from our doorsteps we are improving the desirability of our inland waterways, protecting habitats for wildlife and helping to combat a global crisis. I admire people who go out and set their own rules for life, turning their dreams and ambitions into reality. It takes a lot of hard work, commitment and risk – but it’s all worth it if you can create a life that you’re in love with. Having the courage to take a leap of faith to achieve dreams and live with real meaning and purpose is very inspirational to me. What was the most shocking finding from your #PlasticPatrol challenge? After 22 days of paddle boarding along the waterways I was more saddened by what I saw than shocked. There are a lot of the obvious cliché items – shopping trolleys, plastic bottles, shoes, plastic bags as well as other rubbish but it’s the sheer volume of it that’s so disheartening. We’re facing the same problem on inland waterways as we are coastal, beautiful places littered with plastic and debris. I think it’s easy for people to become desensitized to it, and that in itself is worrying. Why do you support Thames Baths? 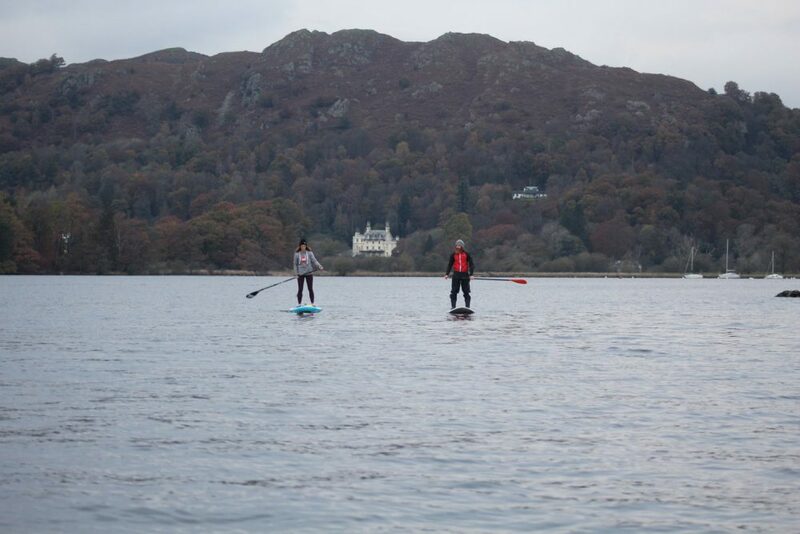 If people start to develop relationships with the waterways – whether that’s through paddle boarding, swimming or any other activity – they will naturally fall back in love with them and take ownership. Projects like Thames Baths can only be a good thing for the community and for the wider environmental issues we’re facing. What 3 things can people do to prevent the current litter crisis? The current issue we’re facing is complex and needs addressing at a number of levels to in order to create real, lasting and tangible change. Individuals should try to be more environmentally conscious and think about their plastic footprint by making small but significant changes to their lifestyles. Equally, brands needs to be more accountable and give consumers alternatives to plastic at the point of purchase. Finally I think there needs to be more urgency for change at Government level. We have already seen the start of this with the planned banning of micro beads, which is great, but I see this as a starting point for wider changes on the issue. 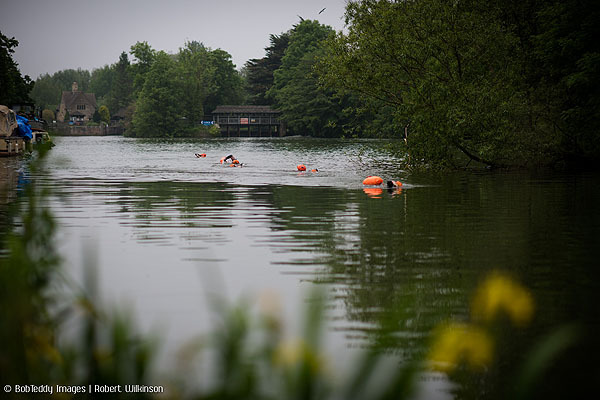 You’ve done some amazing things on the water but tell us a little bit more about how you overcame your fear of open water swimming? Thanks to Lizzie for her time answering our questions and we hope to paddle board through central London with Lizzie in 2017. 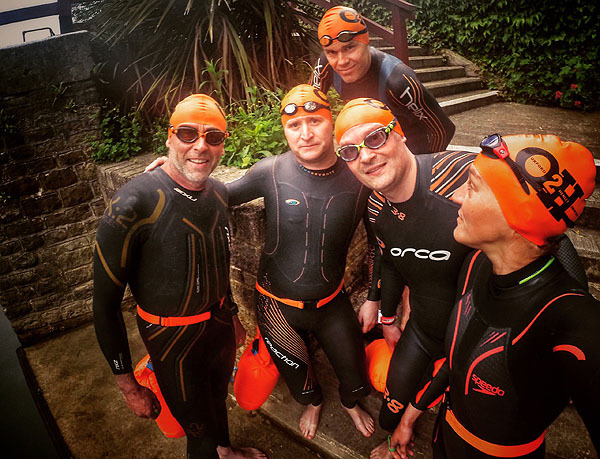 On 14th of July, myself and four other swimmers from openwaterclubs.org.uk Oxford and Henley (Jeremy Laming, Malcolm Burfitt, Mark Plested and Phillip Cater) will be donning our wetsuits to set out on an epic 50 mile (80km) swim as a pod, from Oxford to Henley. The challenge is all being done in aid of local charity the Chiltern Centre for Disabled Children who aim to give disabled children and young people the opportunity to live life to the full whilst providing their families with a valuable break and the support they need in their vital role as carers. Although the charity is local, there is no post code restriction on who can benefit from help from the centre. The only limitation to help more children and families is budget, to cover the cost of more staff. 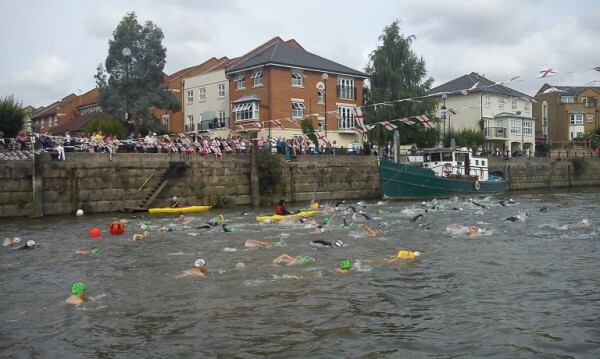 Our intention is to swim the distance over two and a half days starting on the 14th July at Osney Lock in Oxford and finishing at the Angel on the Bridge in Henley on Saturday 16th, in the afternoon. 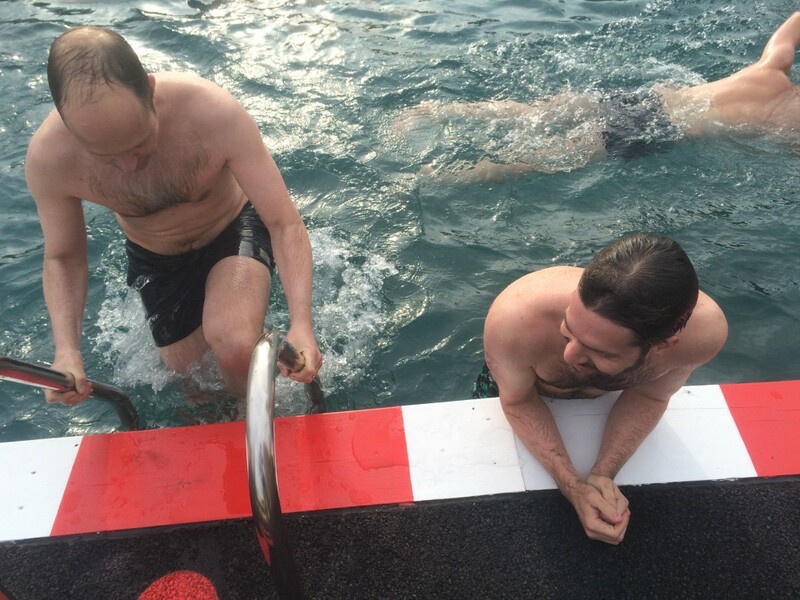 We are all experienced open water swimmers and used to swimming in lakes and the Thames. Nevertheless, this is by far the biggest challenge any of us has ever taken on. It might be a quick drive from Oxford to Henley, but the Thames takes a long undulating stroll through the beautiful countryside to get there. 50 miles is a long way! Although the swim takes place in summer, spending ten hours a day in sub 18C water (the weather hasn’t really been playing ball this year!) is still a big expense of energy in itself and will add to the challenge. But we are all very excited about the whole adventure and the support we are getting, and have been training hard, finding time for long swims, usually really early in the morning and bonding as a team too! We have set our goal high: £15,000. This will enable the Chiltern Centre to fund one of the on-site nurses for nine months. We have raised £4,000 so far which will already fund twelve overnight stays at the centre. So when things get tough on our swim (and they will! ), this is what will definitely keep us going! We will have a tracker with us on the swim so you can follow our journey online – all the details will be posted on our Facebook page before we start. Please “like” our page or follow us on Twitter, to get the updates. Feel free to leave us messages during the swim as our support team will be able to pass them on! Those REALLY do help! If we are passing near you, feel free to come and meet us at the locks or cheer along the way! We’ve already been promised some hot drinks at Radley’s boathouse, and by the lovely people at the Waterfront Café in Benson. The Swan at Streatley is putting us up and feeding us in the evenings, so we can have a good night’s sleep. Perhaps join us for a beer at The Angel on the Bridge on Saturday afternoon…hopefully not too late. Thank you to Thames Baths for taking an interest in our challenge and thank you all for reading and following! It’s getting very close now and we’re all itching to go! And last, but not least, this is the link to our fundraising page! Every little helps! If you’re able to spare a few quid, we would be most grateful! Feel free to share widely too. We have a couple of corporate sponsors too, and their logo will appear on our t-shirts and social media. There is still time to add yours (until 8 July – £200 for the logo). 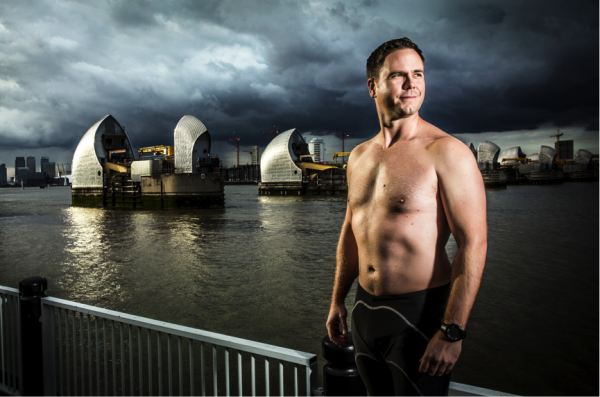 Over the last 2 years a lot of people have asked me, why swimming in the Thames? Its taken a bit of time but I now know why, there’s water in my veins. Watery holidays were a consistent feature of my childhood. Whether a narrowboat holiday on the Grand Union or being buffeted by surf along the Cornish Atlantic coast these were considered proper family holidays, come rain or shine. In pursuing this vision for a floating lido in the Thames, I’ve begun to realise that I’ve always had this special bond with water. So it’ll come as no surprise that very similar holidays are now a key part of my young family’s repertoire. It was the summer of 2013 when we were all swimming in Lake Zurich that this campaign was born. A tweet from The Architecture Foundation alerted me to an Open Call for ‘Future Ideas for the Thames’. The Swiss, Scandinavians and frankly most cities in-between have an intimate relationship with their urban waterways. Floating baths were prevalent across Europe from the early 1800s and in most cities the essence of this relationship remains. It’s often overlooked but London‘s last floating bath was in 1875. Moored just downstream from Westminster, the cast iron and glass structure heated and filtered Thames water for what must have been an unforgettable indoor swimming experience. The Thames has been integral to trade in London and up until the Bath and Washhouses Act of 1846 it was also one of the few places to swim in London. The Great Stink of 1858 led to Sir Joseph Bazalgette’s magnificent sewers and then almost 100 years later water quality hit an all-time low when the Natural History Museum declared the river biologically dead. However, since then numerous organisations’ tireless work has seen the quality of the river water improve dramatically. Bazalgette’s sewers solved one problem but created another. With the new embankments, the river was narrowed, the foreshore lost and the city seemed to turn its back on the Thames as London’s population grew from 4 million to 8 million today. The encroachment on public space along the riverfront has been rampant over the last 20+ years. Our plans are about re-connecting Londoners with the lifeblood of our city, providing much needed ‘green’ and ‘blue’ spaces along this precious resource. – Health & well-being- continuing to diversify London’s ‘green’ and ‘blue’ public spaces and encourage participation in sport at all ages. Our plan is to deliver an exemplary project for London’s largest underutilised space. From the design to realisation we’re seeking out the best consultants, partners and sponsors to help us. 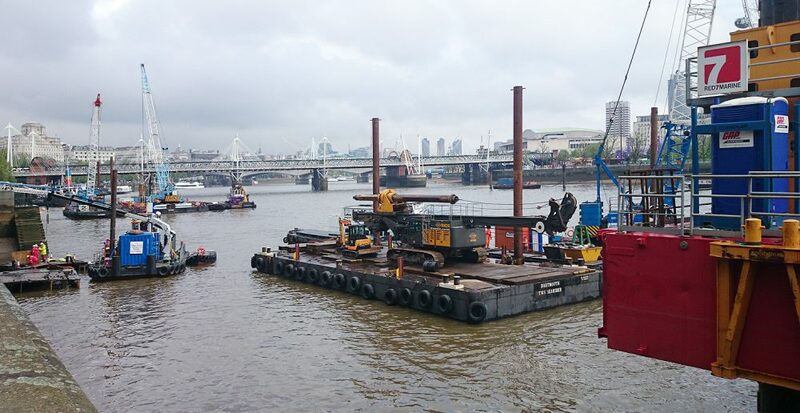 This isn’t easy but we’ve already started to make huge steps to achieving London’s first floating baths since 1875. With the 1200+ Founding Members established during our Kickstarter campaign we believe we’re well underway to making this a reality. If you’d like to become one of our partners or sponsors please don’t hesitate to get in touch with us, we’d love to hear from you. It seems strange to call Michael Ventre a long-distance swimmer. The term really doesn’t do him justice. It seems too light, perhaps even too simple for Michael isn’t just swimming a long-distance. He is swimming from New York to London. The journey that Concorde used to do in 3 hours 30 minutes will take Michael around 6 months to complete. At first glance you’d probably think Michael was crazy and in fact this he says is what most people think when they first hear about his attempt. However, having talked to him on behalf of Thames Baths over the last couple of weeks, he is anything but crazy. Michael is incredibly calm and is currently meticulously planning everything. 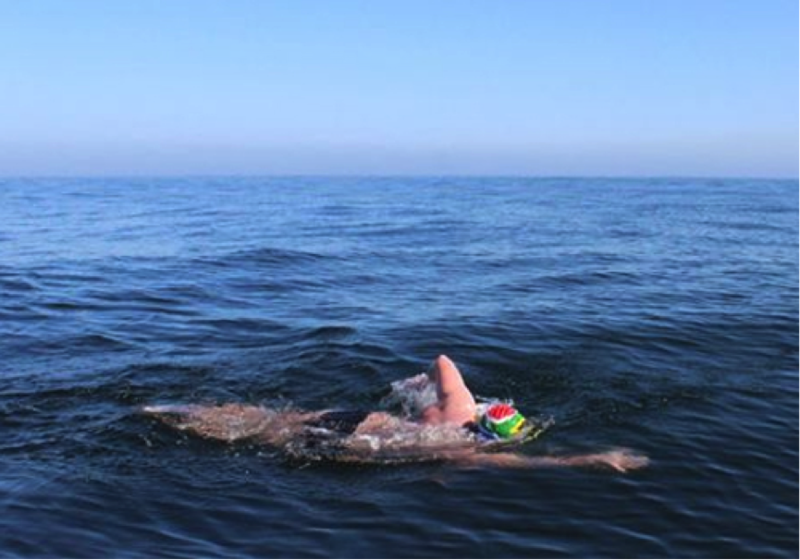 “The last 3 years I’ve been talking to industry experts in oceanography, meteorology and prospective companies to obtain as much info about swimming the Atlantic as well as to try to obtain sponsorship.” Said Michael, who began thinking about the swim around 2007. When we sat down with Michael we asked him what inspired him to start thinking about the swim and he told us this. I think many people would think it hadn’t been done before for a very good reason, but Michael doesn’t seem to be put off by the sheer scale of what he is setting out to do. Infact, there are many similarities between the audacity of what we are trying to do at Thames Baths and what Michael is trying to do in his crossing from New York to London. Both are going against what people say is possible, and both feel like you will be spending a lot of time swimming against the current. We asked Michael what will keep him going on the journey. Apart from a good amount of rest, tonnes of carbs, positive vibes and potentially a little bit of music he also talked about setting specific goals, clearly relevant to all of us. It’s amazing to think that one person could do this and we really hope that Michael achieves his dreams. As a support partner we will be doing our best to help Michael where we can, but he still needs more support and more donations. If you think you, or your business could help him, then you can find out more at http://www.newyorktolondonswim.com/michael/. We wish him the best of luck and will keep you updated on his journey. 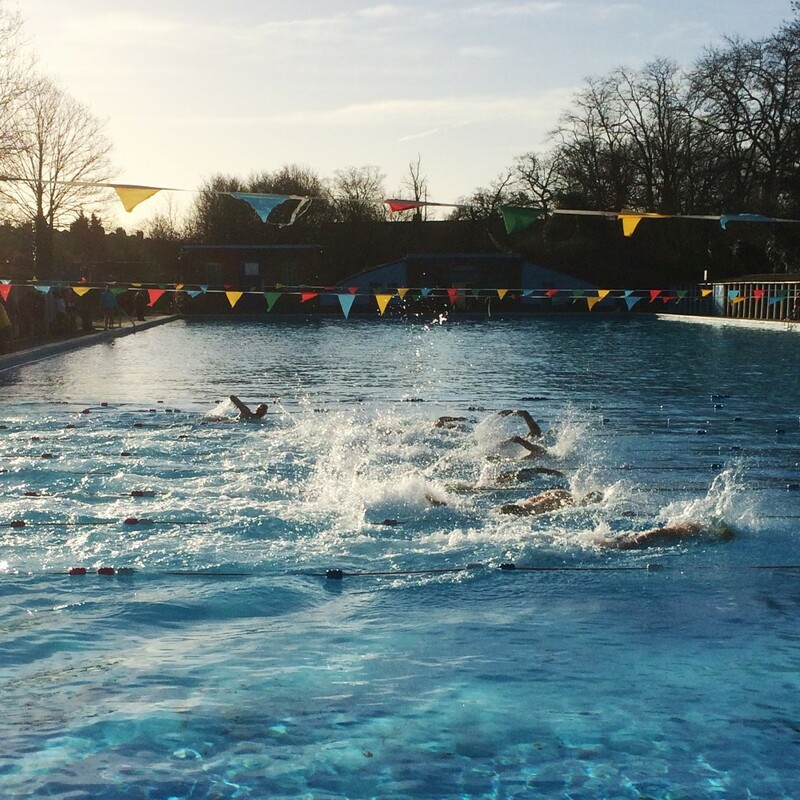 As London residents, we love an outdoor swim in some of our favourite lidos and pools around this great city. 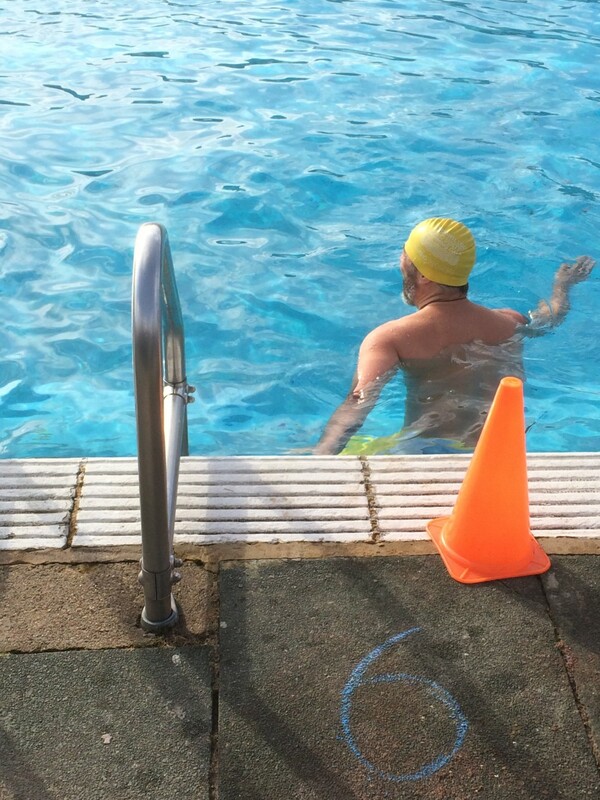 We’ve enjoyed the chaos of Brockwell Lido on a summer’s day, the chilly temps of the Serpentine on an early Spring swim, and we’ve woken with the birds to swim lengths at Tooting. Nothing compares to swimming naturally though and one of our favourite experiences to date has been swimming out by Chiswick Bridge. The cold waters of the Thames reviving us and pushing us to swim natural, further and faster. At this time of the year the water can be best described as “not warm”. Kings Cross Pond recently announced it will stay open all winter and that means temperatures below 8º. 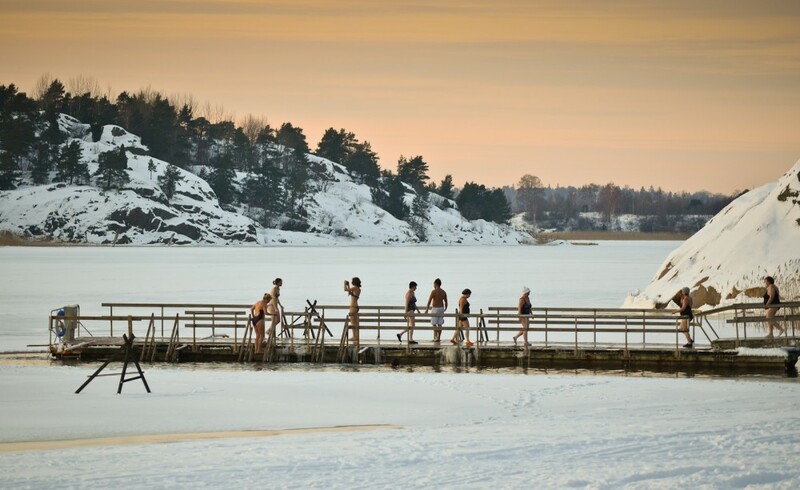 To swim in these sorts of temperatures doesn’t just require a bit of bravado, it requires a careful and considered approach, but can still be immensely fun. We thought we’d help out a bit by writing our own top ten guide for winter swimming which we find useful everytime we dip our toes (slowly) in the water. Thanks to Oli at the Outdoor Swimming Society for help on crafting this, ultimately it’s not just about the water, its about what you do before and after too. Number 1: Before you take the plunge, make sure you are healthy enough to do it. We like to have a regular check up each winter to make sure we are fit for purpose and ready to swim. Number 2: A quick running jump might seem like the bravest thing to do but fortune favours the slow. That’s because your body can react in very different ways to the cold. The shock of hitting cold water can cause you to involuntary inhale water and as much as we like water it isn’t as good to inhale as air. Number 4: It’s good to know your time limits. So far at 12º Matt has managed a slightly average 1min and Chris a somewhat more impressive 5mins+. Trying to understand how long you should be in the water is tricky, so probably best to set yourself a time limit and err on the side of caution. Number 5: No gear, no idea. What the right outdoor swimming gear is depends on time of year, but we prefer to wear a good wetsuit. 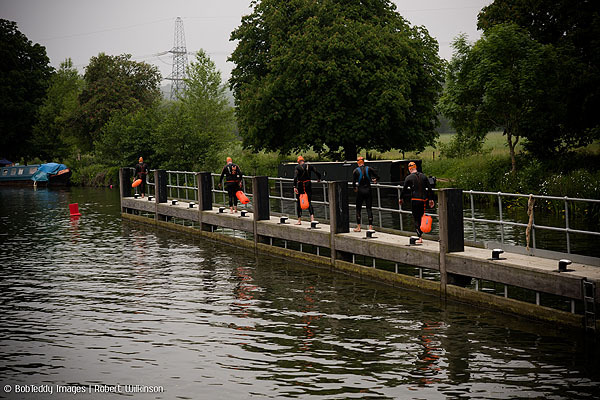 (Click here to see the OSS guide to choosing a wetsuit for swimming) and a swimming cap – may we suggest the beautifully designed Thames Baths swimming caps supplied by Speedo. The swimming caps stop the heat escaping from your body and the Thames Baths ones are a great swimming fashion statement too. Number 7: Swim together. It’s best to swim in cold water together. Firstly, there is a lot of camadarie with getting in the water and swimming, social scientists say experiences like this can enhance friendships so why not take a friend or enemy with you and see what happens. Secondly, it’s always good to keep an eye out for each other whatever your level. Number 8: Layers. We’ve talked about gear in the pool, but what about after too. Its essential to have a few layers afterwards. Matt is prone to putting on thermal underwear, jeans, jumper, two pairs of socks, a fleece and a winter coat post-swim. Probably a good idea to pack a bag of warm gear, perhaps you could even use one of our marvelous Tote Bags to help with the load a little. Number 9: Warm up your insides. Hot Chocolate. Coffee. Tea. Mulled Wine. 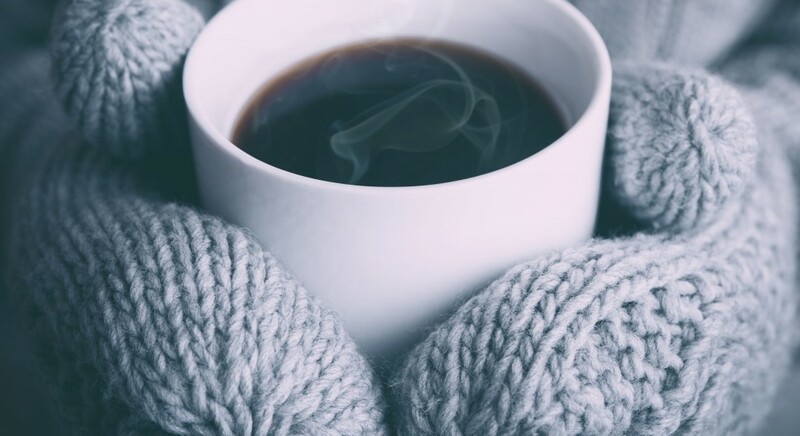 Once you are out of the water it is good to get something warm inside you to warm from the inside out. Our personal preference is for an extra hot latte, but anything hot will do. Number 10: Celebrate with a photo. And tweet it to us @thamesbaths or ‘gram it to @thamesbaths. A cold water swim is worth celebrating whether it’s your first or last time, and we’d love you to show us. It’s a great day at Thames Baths today because we get to announce something we’ve been sitting on for awhile. 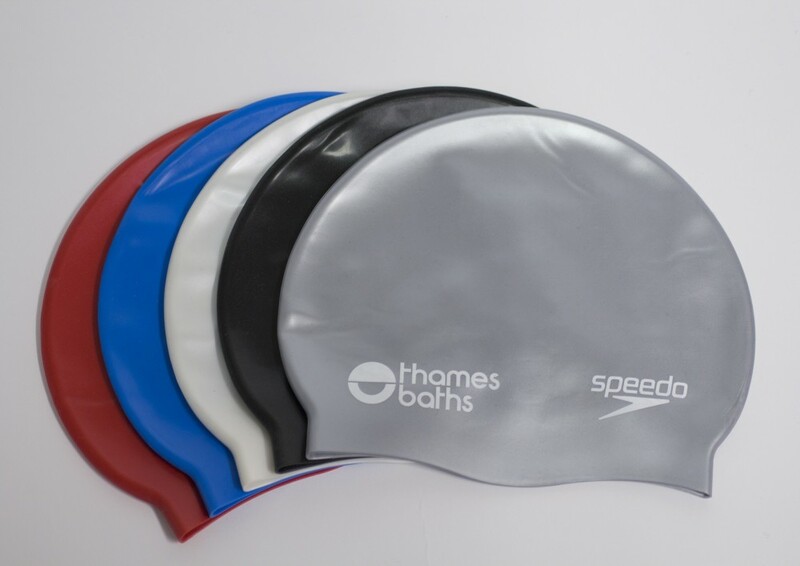 It is with great pleasure to announce the Thames Baths members caps will be supplied by Speedo. Speedo, the market leader in swimwear and endorsed by elite athletes and everyday swimmers have produced the Thames Baths branded swimming caps for you to wear with pride wherever you swim and however you choose to swim. We think they’ll look equally great on your next open water adventure, during your next indoor lap, at a triathlon, or even in the bath. We can’t wait to send them out at the end of the month, but we’re also going to give you a quick sneak peek below too. Thanks Speedo. 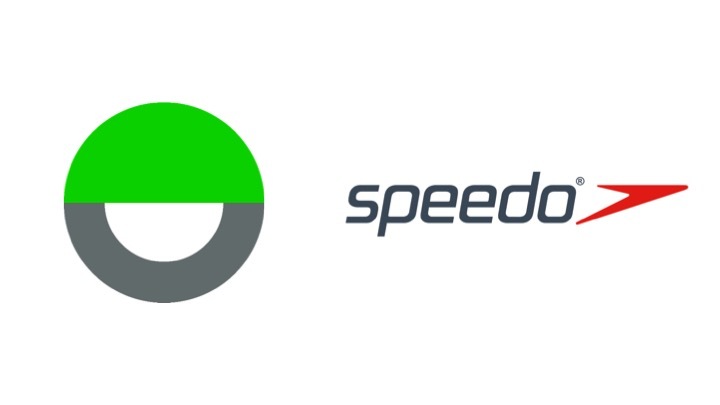 If you are interested in finding more about what Speedo are up to you can follow them on https://twitter.com/speedo and of course you can follow us for more fantastic updates at https://twitter.com/thamesbaths.